Item # 313777 Stash Points: 3,995 (?) This is the number of points you get in The Zumiez Stash for purchasing this item. Stash points are redeemable for exclusive rewards only available to Zumiez Stash members. To redeem your points check out the rewards catalog on thestash.zumiez.com. Give your daily fashion some fresh athletic wear inspired style with the Russell Athletic Leandro Blue & Yellow Long Sleeve T-Shirt. 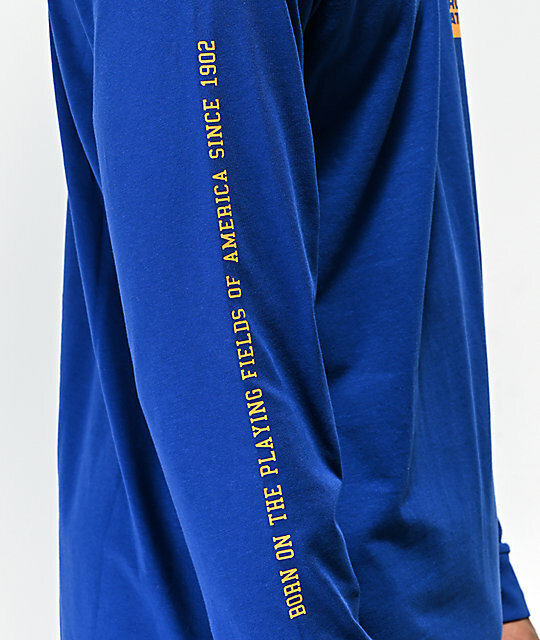 Royal blue in construction throughout, this t-shirt is most prominently highlighted by screen-printed graphics at the left chest and lining the right sleeve for prominent branding and classic style. 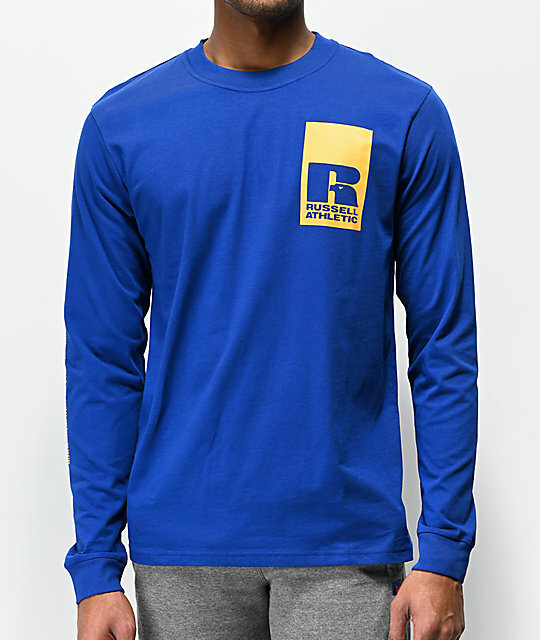 Leandro Blue & Yellow Long Sleeve T-Shirt from Russell Athletic. 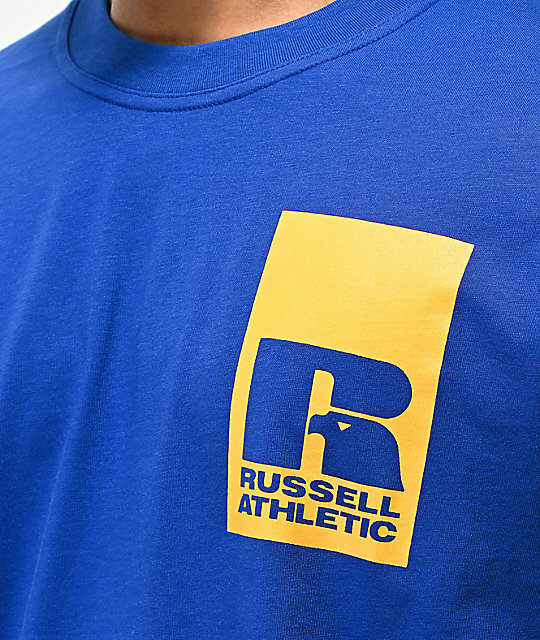 Screen-printed "R" logo at the left chest in yellow and additional script lining the right sleeve in matching yellow.